Wanna meet one of the cool kids? Here I am, Mr. Popular, but you can call me Pop for short! 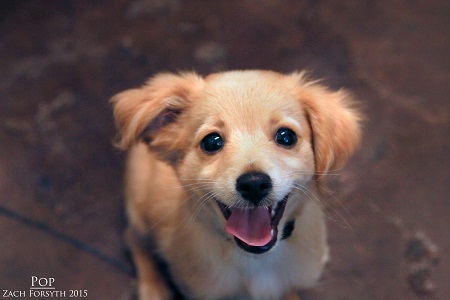 I am a 10 week old Chihuahua mix (although I look more like a tiny Golden Retriever! ), who is kindhearted and trendsetting, just like a cool kid should be! I get along with everyone, thespians, cats, band geeks, dogs, Mathletes, football players, and kids of all ages! I will say I have done more socializing than homework so I still need to attend puppy classes to make sure I learn everything I am supposed to! Do I sound like the perfect pooch for your family? Fill out an adoption application so we can schedule a meet and greet. I am fixed, vaccinated, and microchipped. My adoption fee is $300.